The fig and the olive are a relatively new match for two of the oldest Mediterranean foods. 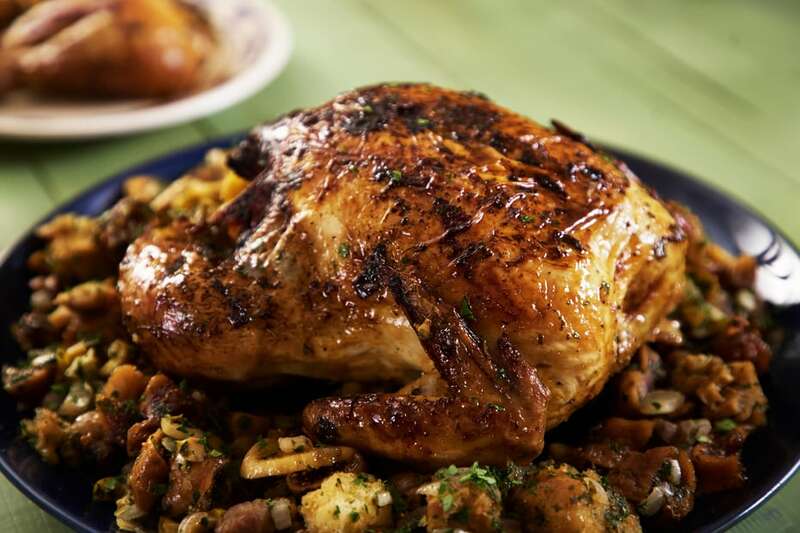 Mastiha (mastic) infuses the stuffing as it bakes and adds one more undertone to this rich, flavorful, but simple chicken dish. 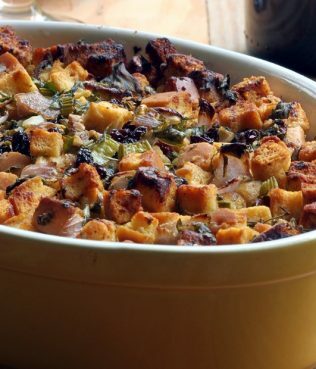 Make the stuffing: Mix all the ingredients for the stuffing together and set aside. 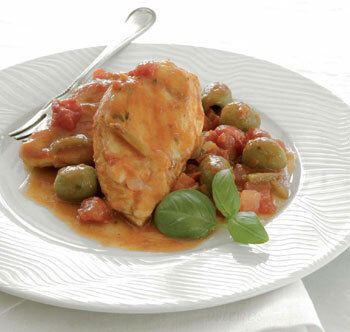 Make the chicken: Preheat the oven to 350ºF (175ºC). Lightly oil a baking pan large enough to hold the chicken. Trim excess fat from the chicken and wash the chicken inside and out. Stuff the cavity of the chicken with the fig-olive stuffing. Place in the prepared pan and season generously with salt and pepper. Whisk together the orange juice, mastiha liqueur, and olive oil in a small bowl and season with salt and pepper. Brush the mixture over the chicken. 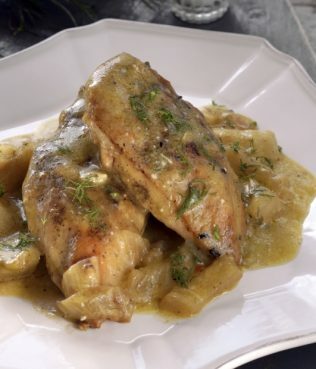 Bake for about 1¼ hours, brushing with the orange juice mixture every 15 minutes or so and basting the bird with the pan juices, until the chicken is very tender and browned, and an instant-read thermometer inserted into the thickest part of the thigh registers 165ºF (75ºC). Remove from the oven, let cool slightly, and serve.